This yacht also boasts a large and open saloon, a galley with the latest appliances, 4 cabin layout with en-suite heads. The Leopard 51 Power-cat combines the best from our sailing fleet with the luxury and ease of a power yacht. BROKERS REMARKS: ROXANNE is a yacht to seriously turn heads, being both the youngest 51PC now out there, and also being the crewed model, she is superbly maintained. 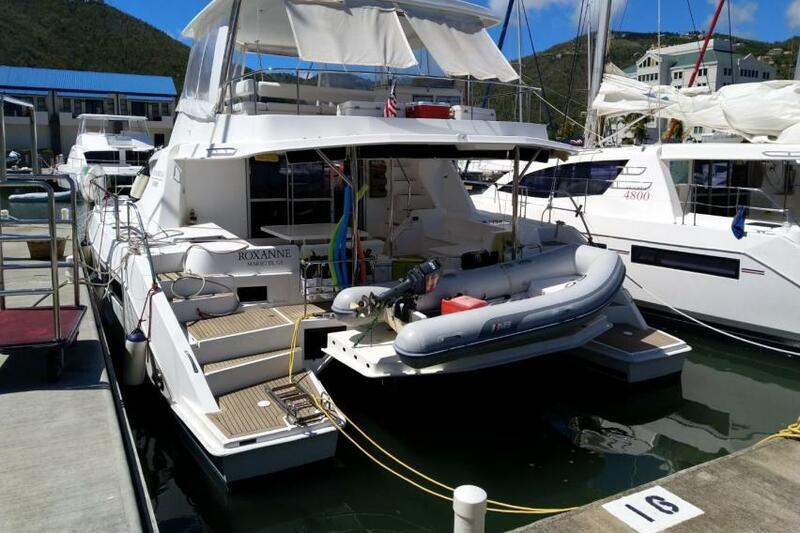 The current crew have a passion for this yacht, and it shows when you step on board, greeted by gleaming GRP, and many more comforts than you get on the bare-boat model. If you're already looking at the 51PC you'll be familiar with the epic fly-bridge, full air-conditioned interior, and hydraulic swim platform. What you'll really want to know is how Roxanne compares against the other 51PC's... well let's just say that this is yacht stands above the rest, and not just from the fly-bridge viewpoint.. 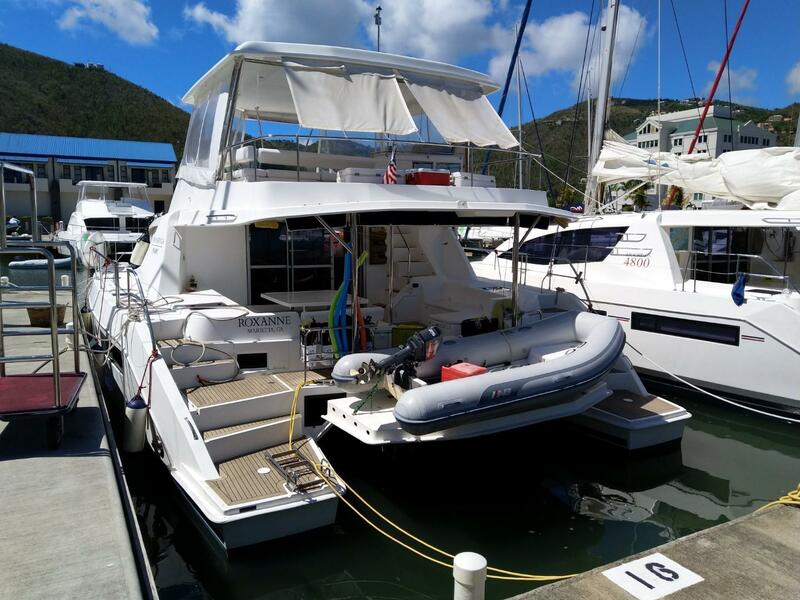 AVAILABILITY: Leaves BVI Crewed Moorings fleet April 2021. Only available to sell into fleet with revenue.